Michelle has to understand that when the officials have video, it takes precedence over any other evidence. It’s not a question of whether she felt unsteady or not, but whether the video shows her as being off-balance… which it didn’t. It may not be fair but “protecting the field,” as they call it, is the officials’ job. Michelle will appreciate that when it helps her some day. Like I said at my site, it’s a shame that this may overshadow Seo’s performance. 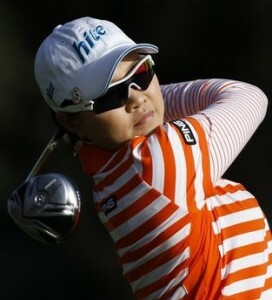 I wonder if she’ll do as well at the Kraft Nabisco this week?